Student Mentoring Event at TAIT - Tait & Associates, Inc. In March 2018, TAIT & Associates’ Santa Ana office was happy to participate again in Anaheim Union High School District’s AIME Mentoring Program. 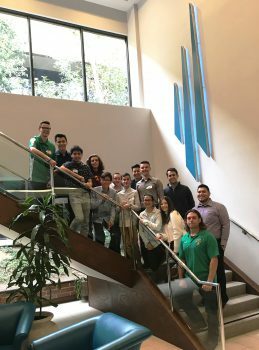 Twelve students from Anaheim High School came to visit the office to hear about what we do and career advice from TAIT engineers and associates. TAIT thanks the students for visiting and we hope the conversations had help them find the path to what they are passionate about in engineering and beyond!